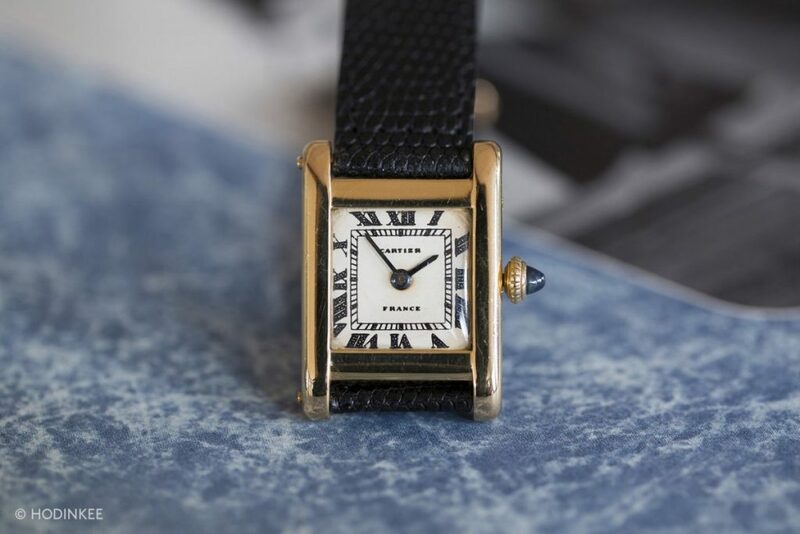 Cartier Tank Sells For $379,500 at Auction “Jacqueline Kennedy Onassis” staggering amount of money for a Cartier Tank. 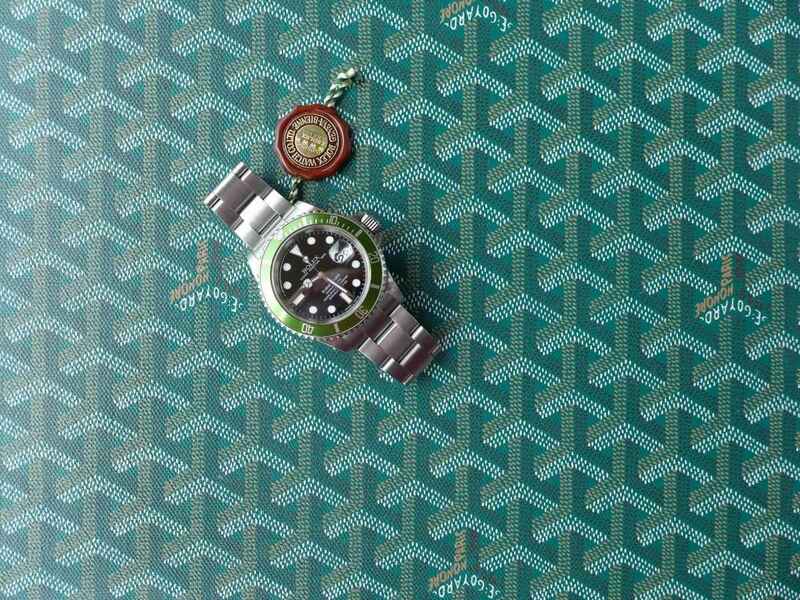 The watch was estimated at $60,000 to $120,000 and tripled the higher estimate when the hammer went down. Collectors are snapping up pieces like this with history to well established figures, this Tank was giving to Jacqueline ex wife to J F Kennedy by her brother in-law Prince Stanislaw Radziwill who was married to Jacqueline’s sister. The Tank was given to commemorate the family finishing a 50 mile walk in palm beach although Jacqueline and J.F. Kennedy did not finish the full distance but did participate. 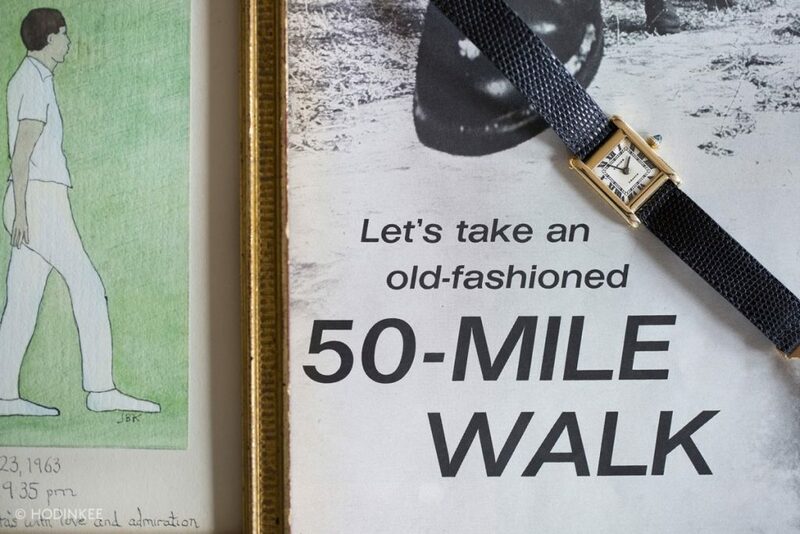 The 50-mile walk message was promoted by J.F. 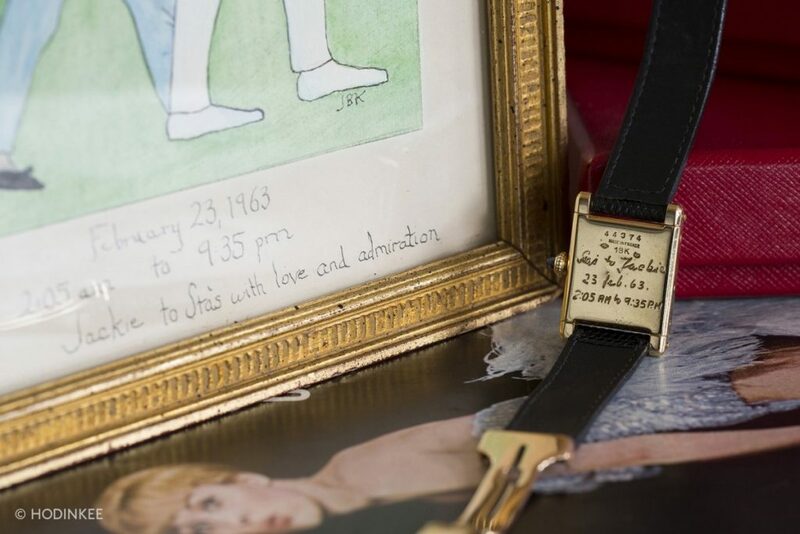 Kennedy in his presidency before his assassinated, the watch inscription on the caseback is “Stas to Jackie 23 Feb. 63 2:05 AM to 9:35 PM,” The Cartier itself was 20mm by 28mm long and is full of character case made of solid 14k gold with cabochon sapphire crown and manual wind movement. The dial is silver with roman numerals with blue hands, this classic design is still manufactured today but in 18k gold and still has all the charm of the vintage Cartier Tanks. A timeless classic by Cartier be great to see what other watches at auction are fetching with such a great province and history attached to famous person.